Clean the cauliflower,and cut in to small size florets. Spread in a kitchen towel,let it dry for 10 mns. Then shallow fry the cauliflower or bake in oven till turns crisp. Heat the oil in pan,add green chilly and spinach,cook it for 2-3 mins in low flame. After that,allow to cool and blend with coconut,cashew,kas kas and curry leaves. Now heat a pan with 2 teaspoon of oil,add jeera,onion and fry for a while. Now add sugar and tomato,fry till get mushy. Add the red chilly powder,coriander powder ,give it a mix. Pour the grounded spinach paste in to it,cook it for 2-3 min in medium flame. Adjust water for the gravy. Then,add the fried cauliflowers in to it,give a gentle mix. After boiling for 2-3 mins add the milk,bring to boil again. Then add fresh cream,garnish it with little bit of cheese. 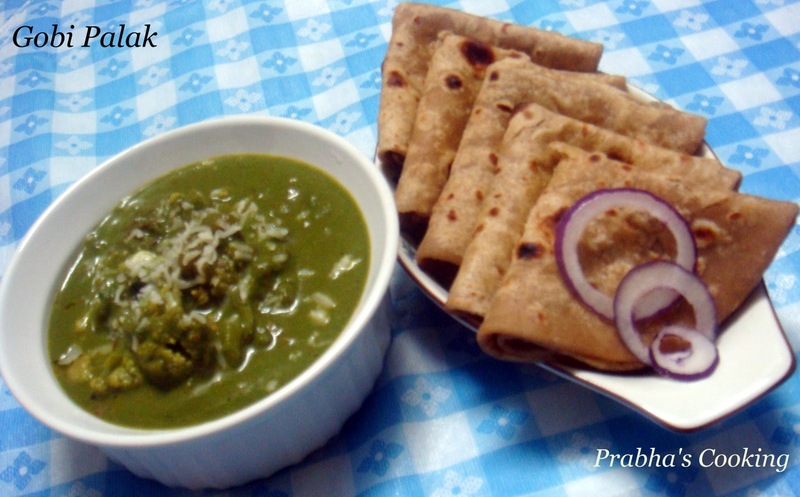 That's it Creamy gravy's ready to enjoy with hot Chapathi/Pulao.. !!! 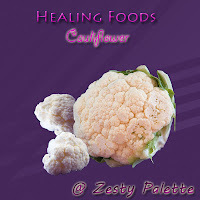 Linking this recipe to Vardini's ,"Healing food- Cauliflower"
Nice and healthy combination.. looks too good !! 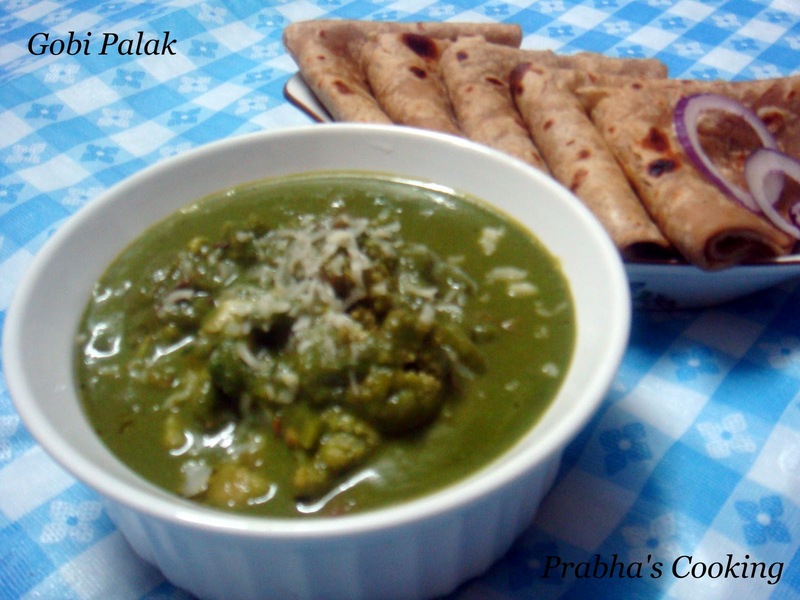 Gobi palak is a lovely greeny dish. Totally healthy side dish. Nice combo and I love spinach. Thx for linking to the event. 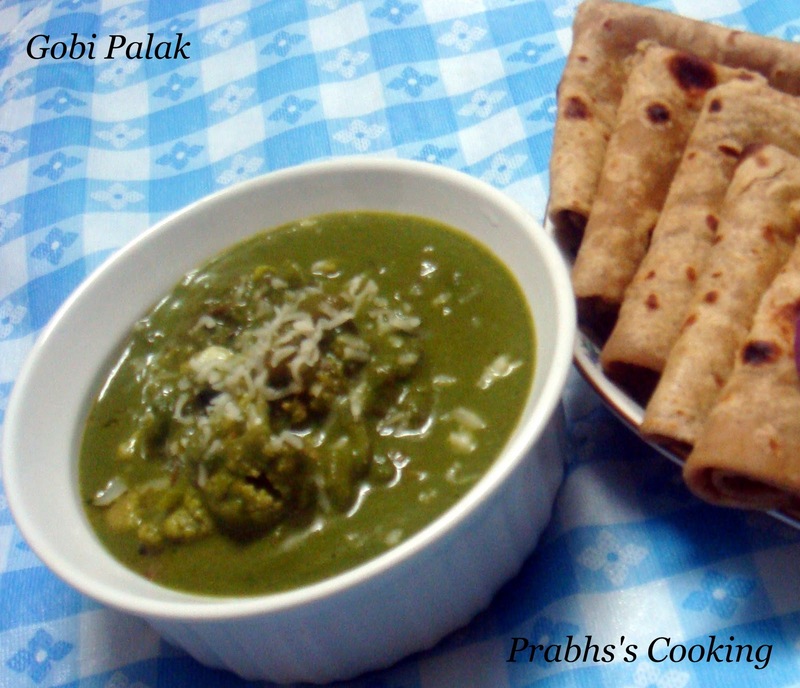 Super delicious gobi palak,simply irresistible.